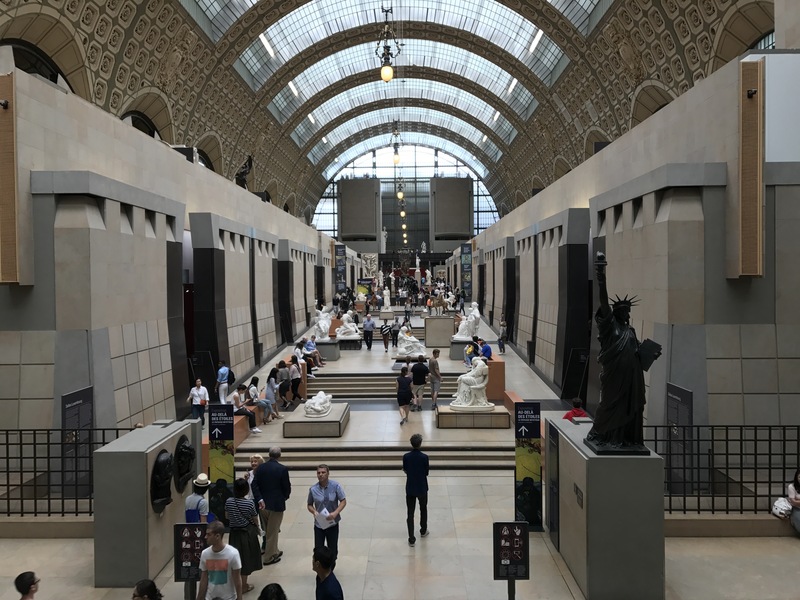 Paris, home of countless museums that hold masterpieces of the ages. 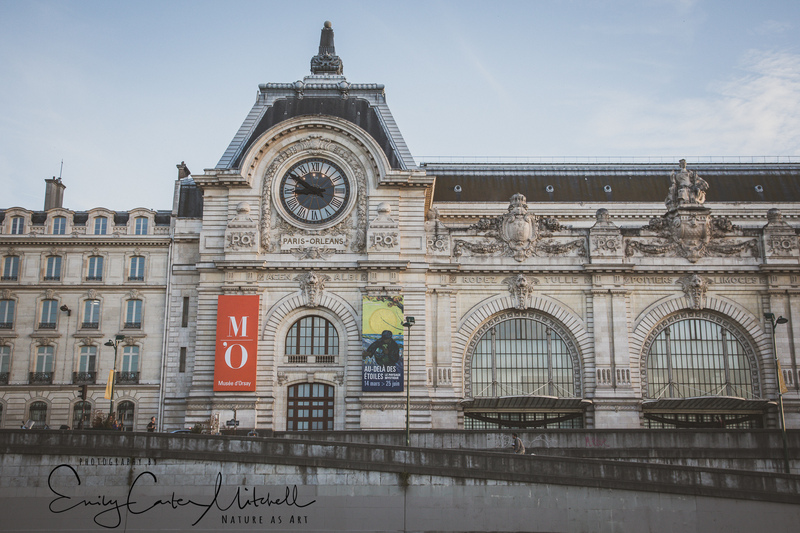 The Musee d’Orsay is one of the more notable ones due to the incredible collection of Impressionist art from the masters. Monet, Cezanne, Van Gogh just to name a few. The Paris tourism bureau offers an excellent pre-purchase ticket pass that you can get prior to your arrival in Paris. Purchasing your pass online, it is shipped to your international address and activated on the day you enter the first museum you visit. This pass saves you plenty of time as many people don’t plan ahead and wait in long lines to purchase individual tickets to the museum they’re visiting. An even better bonus is that students under the age of 26 are allowed free access to all museums and monuments. All is required is an identification card with the birthdate. They join you in the ticket holder line and show their ID for entry. 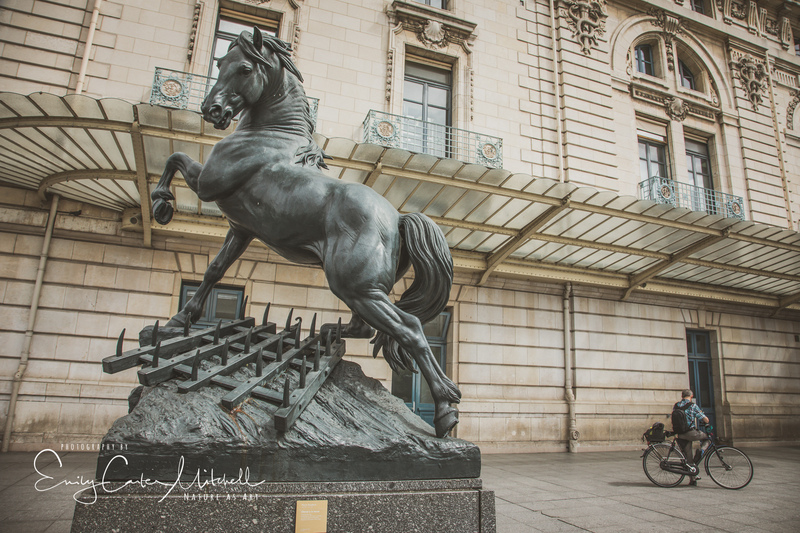 My favorite horse in the city greeted me upon our arrival to the museum. Entering into the main central atrium one can see how this was originally a train station that was converted to this museum in 1900 for the Universal Exhibition. Holding works of art from 1848 to 1914, the building itself can be considered a work of art. There is something about the buildings in Paris. The details inside and out are truly impressive. With ornate and sculpted trim work in the exterior and interior of the buildings to the gold gilt, crystal and mirrors that reflect the light. Once we were properly awed by the building’s majesty, we could begin enjoying the amazing artwork on the walls. In observing visitors in the museum, many focused on getting their picture in front of a painting or taking a picture of the painting with their cell phone. True art appreciation has seemed to go to the wayside and given in to the need for instant gratification. Selfies with Van Gogh just seemed odd to me. Lucky for me, my travel partner appreciated artwork and would spend time truly looking at a painting. Noticing the brushstrokes, the detail in the story the painting told, the light and color chosen by the artist. As photographers, we can learn much of composition by studying these original pieces of art. How is light used to create emphasis in the frame. What are the compositional elements designed to lead your eye throughout the canvas. And more importantly, how are the subjects placed for effect. This is the first time visiting the museum that I was able to take my time and see all of the artwork. Ideally about three hours should be planned to be able to see all that it offers. A special treat are the two see-through clocks that are placed on the top floor. This is truly a special museum and one of my favorites. Perhaps because the building itself is a special place to visit. It truly is Lynn. Thank you. Emily, Thanks for sharing probably the closest I’ll get to Paris unless I drive to Kentucky. LOL ! Hardly the same I would imagine Steve. Thank you so very much. Wow! What beauty exists in this world. Thank you so much for blogging about your trip, its been wonderful to tag along through your words and amazing photos. Have a wondrous time at Longwood, here is to many happy hours getting lost in the beauty of the fountains! I can’t wait to see them. 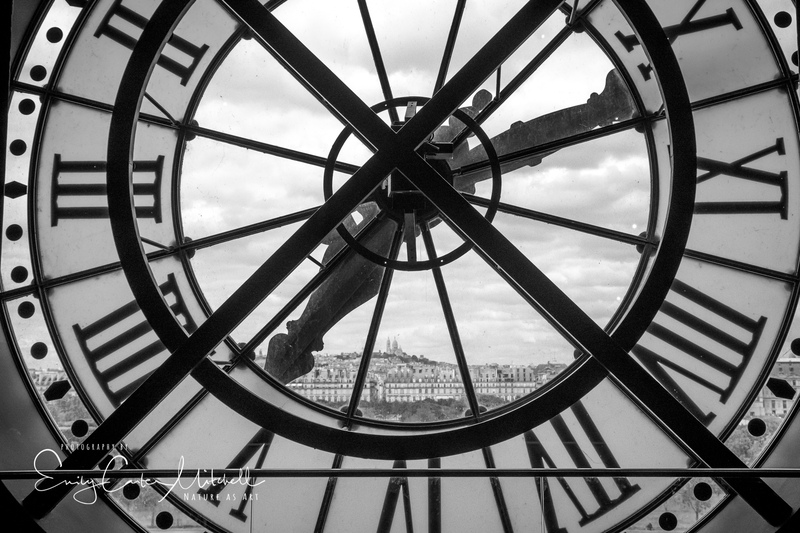 I love the Musee d’Orsay! I agree that the building itself is a work of art. I love art museums of any kind, but I think they are particularly special when the atmosphere of the building fits with that of the artwork. It’s easier to get into the proper frame of mind, I think. Your photos are gorgeous, and I’m going to check out the rest of your blog now!